Project managers are temporary leaders. They must consider manifold functional areas, processes, stakeholders and environmental factors. Thereby they rarely have managerial power such as line managers. Excellent project managers will not rely on their existing strengths; they will apply them in proper doses and simultaneously will analyze and improve their weaknesses – by using competent support. We have broad and deep knowledge of professional project management standards, methods and tools – and we know how to adapt them to organizations and to apply them effectively in projects. 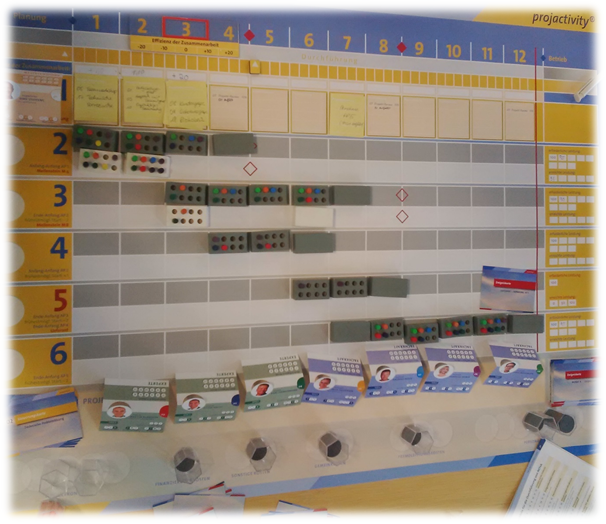 For our seminar attendees we always assemble the best and most pragmatic solution – from traditional project management (PMI®, Prince2®, GPM®/IPMA®, DIN/ISO); from agile environment (Scrum, Kanban, XP, Design Thinking, Lean Management). On demand we lean on existing training concepts of our clients and optimize and complement them. Beyond that, we continuously educate ourselves in soft skills, cultivate exchange with clients, partners and associations and take over an important role as instructors. We are a member of Scrum Alliance® and keep fit permanently in new developments and trends of agile Scrum world. In our specialist network we practice a trustful ‘give and take’ and support each other. This enables us to accept high value contracts and to offer special know-how. We offer trainees and students the opportunity to develop innovative concepts in professional education. They benefit from our practical experience; we get input from their fresh and new ideas. Scrum Alliance is a registered trademark of Scrum Alliance Inc.
What you see above is only a small choice of the variety of further education offers of countless project management service providers. Selecting the right training and the top trainer is time-consuming and very difficult. As long as it is only based on glossy brochures and web offers. At Global Players Consulting’s website you will find different training descriptions. Please take them as examples and references to get a first picture. We take the time for consulting our prospectives extensively. 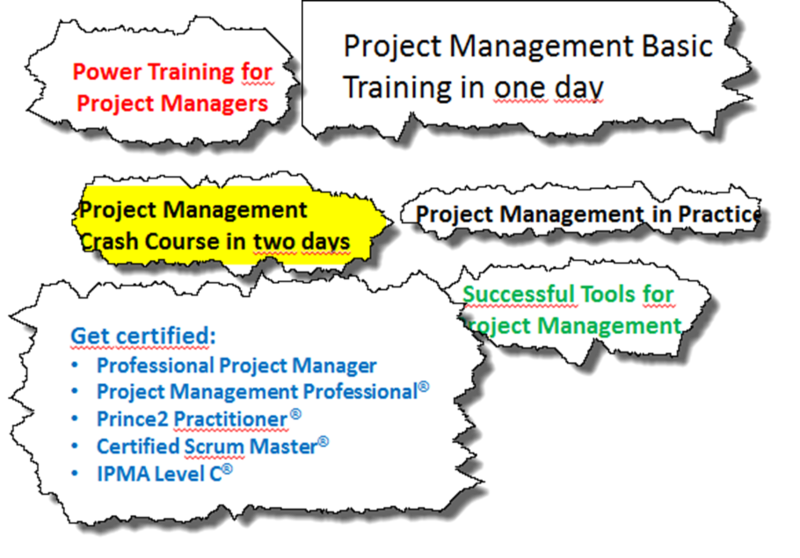 Together we investigate the needs for further education in any field of competence and determine objectives of project management training. We elaborate an individual concept proposal with course schedule and scope reconcile. Once we notice that there is a need for further education in another field of competence we will frankly recommend competent partners from our network. 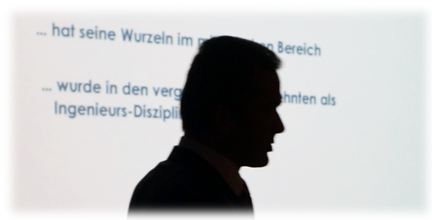 We are specialized in individual corporate seminars which we tailor to industry- and company-specific requirements. Contact us also for open seminars even if we do not promote them proactively. We act as your sparring partner and develop pragmatic solutions for your individual requirements. You cannot find your industry? 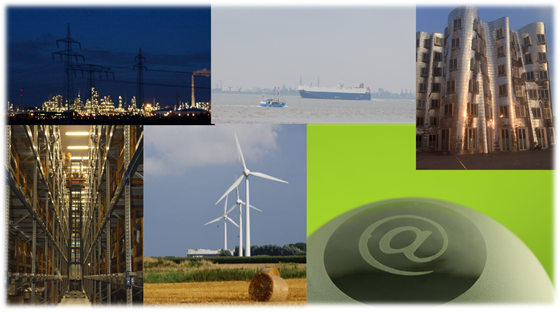 Contact as anyhow – we have a wide network of training partners e.g. in construction management, automotive, health care and further industries. We are proud of never having received a feedback like that from our several hundreds of attendees. While organising a training we request attendees’ professional, methodical and personal focal points and preferences. Considering their feedback we always try to assemble a balanced group of participants to enable comfortable feeling and exchange. We perform each training as a project – from the very first minute the participants learn how real projects work. It starts with getting to know each other, determining goals and rules of collaboration; continues with teamwork and simulated project situations. Results will be reflected in retrospectives and feedback sessions. 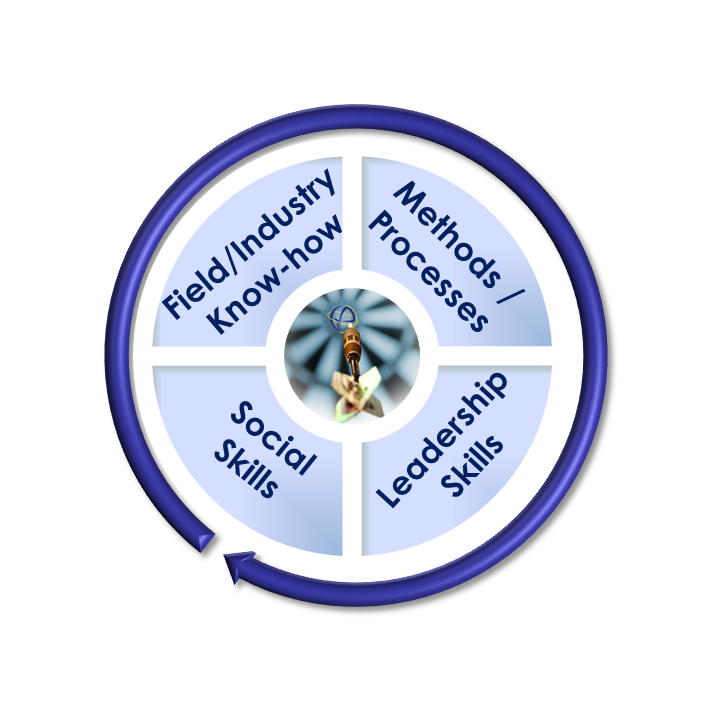 Learn experience-driven via several channels: Our integrated educational concepts provide a balanced mix of upfront teaching and learning by practice. We apply auditive, visual and haptic techniques with a large portion of interaction (e.g. management games, project simulations, PM-quizzes, discussion groups, organisation constellations). Each training is continuous practice for us – each participant is different, each group evolves different drive, schedule and agenda vary. Subject-matters and concepts are in steady progress. 2. Prepare each training carefully! 3. Be flexible in arrangement prior to and during the training! 4. Mutual respect, trust and support! 5. By professionals for professionals! 6. Apply knowledge immediately in practice! 7. Permanent reflection and improvement! 8. Always by the point with empathy and fun! When viewing our training offers you will find examples how we elaborate jointly solutions for our clients´ individual requirements.